Kentucky Death Match: A Battle for the Republican Party in Coal Country | Politics News | Rolling Stone. Back in Washington, Kentucky Republican Sen. Rand Paul, once dismissed as a joke from the libertarian fringe, has become the fastest­rising freshman senator since, well, Obama, much to the horror of the Republican establishment. That establishment happens to be more or less embodied by Kentucky’s other senator, Minority Leader Mitch McConnell, who now faces his toughest re-election in decades, despite his opportunistic embrace of his junior colleague. Could the deep fissures rending the modern GOP, its stumbling old guard versus the ascendant insurgency, be encapsulated more perfectly by any two men? Report on America as a Prison Nation, More Criticism of War on Drugs – TalkLeft: The Politics Of Crime. Human Rights Watch has a new report, A Nation Behind Bars, with facts on the current state of our prison nation and recommendations to reduce our over-reliance on incarceration. Today, immigration offenses account for over 40 percent of all federal criminal prosecutions and almost 30 percent of new admissions to the federal prison system. Ensure that criminal law is not by its terms or enforcement biased against any racial, ethnic, or religious group, as for example, in the disproportionate enforcement of drug laws against black people in the US. 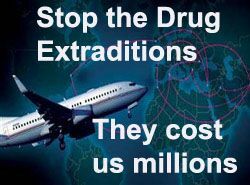 Stop the extradition of drug traffickers from Mexico, Colombia, Guatemala, the Dominican Republic and everywhere. Let their home countries jail them and spend their dollars, instead of ours. Curtail the DEA. We don’t need a global police force. If the home countries won’t act, then perhaps it’s time for our government to finally admit that the War on Drugs is a failure. It breeds violence and doesn’t put a dent in drug trafficking. Colombia’s police chief recently called on the U.S. to strengthen extraditions. The U.S. should just say no. The London School of Economics today is releasing a report on the failed war on drugs. It concludes the war has done more harm than good. Drug prohibition has created an immense black market, valued by some at $300bn. It shifts the burden of “drug control” on to producer and transit countries such as Afghanistan and Mexico. This approach also fails to grapple with a basic truth: drug markets are highly adaptive. Repress the business in one country and it springs up elsewhere. Consider Colombia. When its law enforcement agencies made progress cracking down on the country’s cocaine trade, much of the criminal business and the violence that goes with it moved to Mexico. The LSE report estimates that after 2007, Colombia’s interdiction policies accounted for more than 20 per cent of the rise in Mexico’s murder rate. Bogotá had a lot of mayhem to export. The explosion of the illegal drug market between 1994 and 2008 “explains roughly 25 per cent of the current homicide rate in Colombia. That translate into about 3,800 more homicides per year on average that are associated with illegal drug markets and the war on drugs”, according to the report. This type of violence takes a massive economic toll; corporations relocate, foreign investment dries up, industries decline and citizens flee in search of a better life. 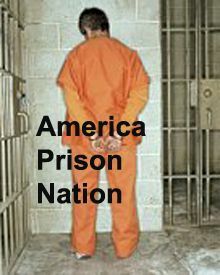 Aside from the cost of investigation and prosecution, we spend $25,000 or more per year to incarcerate each one in our federal prisons, and there are thousands of them, many of whom are serving double digit sentences or longer. The extraditions may also be fueling violence. Since 1997, Colombia has extradited over 1,600 individuals to the United States. In 2013, Colombia extradited 132 persons to the U.S., most of whom were drug traffickers. Mexico extradited 54 people to the United States in 2013 and 115 individuals in 2012. The Dominican Republic is the fourth most active extradition partner to the United States. It extradited 31 persons to the United States in 2012, and 29 through the first 10 months of 2013. Guatemala extradited 4 drug traffickers in the first 10 months of 2013. The Haitian Constitution prohibits extradition of Haitian nationals, but the Government of Haiti has willingly surrendered Haitians and other nationals under indictment in the United States to U.S. law enforcement agencies. The 1999 Venezuelan constitution bars the extradition of Venezuelan nationals. Venezuela periodically deports non-Venezuelan nationals to the United States to face drug-related charges. How’s this for irony: The report says the U.S. is helping El Salvador develop a new classification system to reduce prison overcrowding. Yet it does nothing at home. The report has a special section on the DEA. The DEA has 86 foreign offices in 67 countries. In 2013, DEA conducted bilateral training seminars for approximately 14,070 participants from 94 countries. How about our border patrol? There’s a special section on them in the 2014 report as well. CBP deploys approximately 46,346 law enforcement officers daily in 26,000 tactical vehicles, 260 aircraft, 290 watercraft, 367 horse patrols and 1,580 canine teams to keep our border secure…. The Office of Field Operations (OFO) oversees nearly 28,000 employees with more than 21,775 dedicated officers and 2,414 Agriculture Specialists that protect U.S. borders from 20 Field Offices, 329 ports of entry, 15 preclearance stations in Canada, Ireland and the Caribbean and 58 Container Security Initiative Ports. The Office of Border Patrol (OBP)… drug interdiction activity includes staffing 139 stations within 20 sectors, with 31 permanent checkpoints nationwide. The Office of Air and Marine (OAM) engages in air and marine interdiction, law enforcement, and air domain security. It targets the conveyances that illegally transport narcotics, arms, and aliens across U.S. borders and in the Source, Transit and Arrival Zones. ….In FY 2012, the P-3 Air Wing accounted for 117, 103 pounds of cocaine either seized or disrupted with a value of $8.76 billion. The Unmanned Aircraft System (UAS) flew a record 5,737 hours in FY2012, the most in the program’s history. UAS missions contributed to the seizure of more than 66,500 pounds of narcotics. In 2013, the USCG expended over 2,900 cutter days, 900 Airborne Use of Force capable helicopters days, and 8,000 surveillance aircraft hours on counterdrug patrols. USCG also deployed 17 LEDETs aboard U.S. Navy, British, Dutch and Canadian warships. As a result, the USCG disrupted 144 drug smuggling attempts, which included the seizure of 64 vessels, detention of 230 suspected smugglers, and removal of 88 metric tons (MT) of cocaine and 37 MT of marijuana. We’re spending money like drunken sailors on the war on drugs abroad and seizing massive quantities of drugs and dollars, yet drugs are as readily available as ever. We stop the labs in Colombia and they just move to Peru. We deal a crushing blow to one drug organization and another steps up to take its place, leaving scores of persons dead in the fight for dominance. The U.S-driven global war on drugs is nothing but a losing proposition, feeding our prison over-population problems and bleeding us dry.